With more development time to polish its Tomb Raider reboot, Square Enix is allowing Crystal Dynamics to get everything right for Lara Croft’s return. 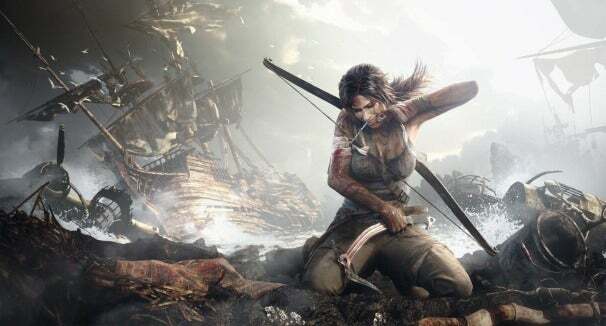 At E3, the developer is delving further into the mysterious island where Lara has been shipwrecked, along with the unfriendly inhabitants that she and her crewmates must contend with. Much further along in this adventure, players will see Lara evolve through a life-changing event. Karl Stewart, global brand director for Crystal Dynamics, talks about what’s new with Tomb Raider in this exclusive interview. Game On: What’s the focus for Tomb Raider at E3 2012? Karl Stewart: This E3 is pretty exciting for us because we’ve been hibernating for the last year because we decided that it was time to go quiet and focus on some of the promises that we made about bringing this sort of reimagining to life last year. This E3 we’re very excited to come back and show a lot more depth and character performance. Last year was all about survival and setting the tone of the character, now you’re going to really get to know her. You’re going to see how she takes a turn in her character to make her stronger. We all want to see Lara get some action-adventure here, this is it this year. Can you talk a little bit about the sequence that people will be able to experience? Last year we showed two 15-minute segments. Lara was found hanging upside down by an unknown assailant and had to break free. Then we jump forward to where we saw Roth, and we taught you about the whole system. This year the content we’re showing takes place in between those two sequences. We get to see how she grows and gets her new bow, her first piece of equipment. We teach you about some of the base camps and getting gear and how you’re going to be able to improve that over time, and where she gets her skill. We introduce some of the newer characters, some of the crew that managed to survive on the ship. I don’t want to spoil too much, but there are some reoccurring things in the content that we’re excited to show this year. Is there any other crew that you can mention? Whitman gives himself up far too easily in this demo when they’re captured. He’s a character that will play out quite a lot inside the game because he’s a great segue to be able to show you the growth of Lara. Alongside a character that has some real experience in exploring, so there’s a real dynamic relationship to it. How far into Lara’s growth is this new E3 content? By the time you’ve finished seeing this piece of demo, you will see her go through a pretty traumatic change in her character. She has to do something that she’s been forced to do, and that’s to kill somebody for the very first time. That’s a pretty traumatic experience for Lara. Our goal in the first hour of gameplay is to set you on a path where she’s becoming that action-adventure hero, that character you really want to understand a little more depth about. She goes through a pretty intense situation in this piece of gameplay to get her to that point. How are you developing this game to appeal to both the more core fans and the mainstream gamers that know Lara Croft? I think that was a very important factor for us when we started reimagining the franchise of Tomb Raiders. For 15 years, it was all about puzzle solving, exploration, and combat. There was a major skew towards 80 percent puzzle solving. Now we’ve broken all those pillars down and rebuilt them back up in a way that is more akin to a mainstream audience. We still have our puzzles, but now it’s called smart, resourceful Lara. It’s about teaching the player about survival instincts and understanding the world. What’s the combat like in Tomb Raider? We’re going to show combat later this year. We’ve built an entire new system and brought in a whole new team to be able to reimagine it. In the past, Tomb Raider was very linear. If you remember, she used to jump from ledge to ledge. Now we’ve given her dynamic movements; the ability to be able to come into a space and truly explore. In the past, Tomb Raiders has felt very staid and staged. Now, we give the player the opportunity to be able to truly explore and get to see a side of Lara that they’ve never seen before, which will bring them closer to her and have a little bit more emotion and relevance. Watch the opening press conference of the 2012 E3 conference on a PCWorld liveblog on June 4.